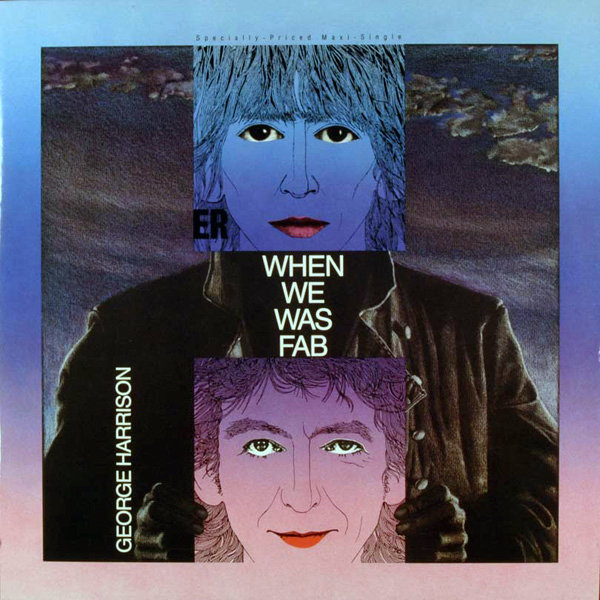 The cover art for George Harrison’s 1988 “When We Was Fab” single from his “Cloud Nine” album uses Harrison’s likeness from The Beatles “Revolver” album. You can even see the ER at the end of REVOLVER under Harrison’s right ear. “When We Was Fab” is a song about the days of Beatlemania when The Beatles were first referred to as the “Fab Four“. 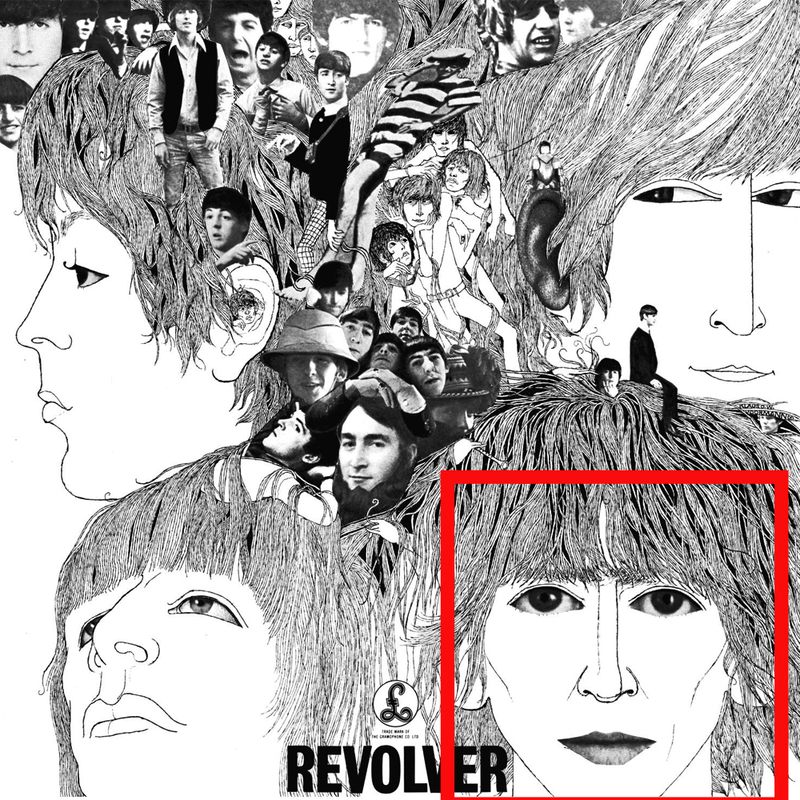 So it’s appropriate that the line drawing made by longtime Beatles associate Klaus Voormann for the 1966 “Revolver” album was used for the Harrison single. 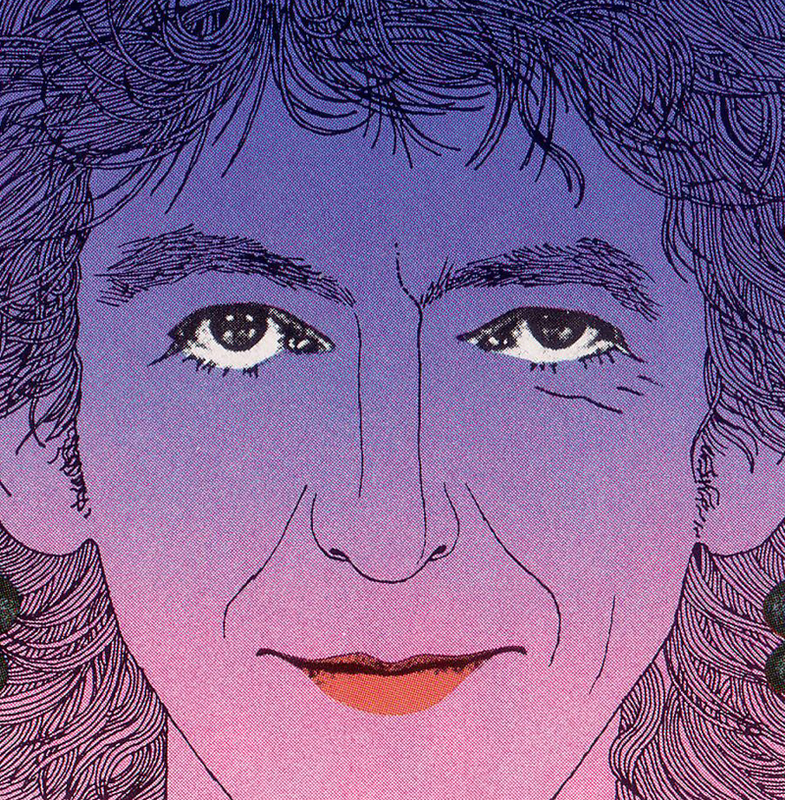 Voormann also made an updated line drawing of Harrison 22 years after the “Revolver” drawing for the cover.